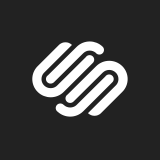 Squarespace is powered by design. We offer a uniquely entrepreneurial, yet supportive culture, where ideas can come from anywhere & execution is everything. Our team is seeking a Motion Designer to bring our products & brand to life through animations, prototypes, & videos. You possess strong conceptual design skills as well as the ability to tell compelling stories through motion. You demonstrate respect for the details, a passion for the power of design, & a thorough understanding of how one affects the other. Youre constantly learning & mastering new tools as a means to realize your creative vision. You have knowledge in a wide array of technologies, techniques, & applications, with an expertise in one or two specialties. While you spend most of your time working in motion, your passion for design drives you to create polished final products from a rough initial direction. Create proofs of concept (motion and/or coded prototypes) that enhance digital experiences & help telling stories. Create animations & videos for a range of front-site projects (Squarespace.com), internal initiatives & brand campaign work, including campaign microsites & social. Through their work, being a bridge between the creative & engineering teams. Collaborate with designers & writers to craft stories through motion. Collaborate with designers & other engineers to incorporate animations & prototypes into production. Ability to foresee design & motion trends to keep Squarespace at the forefront of design for web. Portfolio of shipping products that show motion as part of UI & the experience. You are an expert in motion graphic programs like After Effects & Final Cut Pro. Have a passion for telling stories through motion, including storyboarding, editing footage, & motion graphics/animation. Are equally comfortable working autonomously & in collaborative cross-discipline teams. Have an eye for detailed design & can execute against a variety of aesthetics & styles.